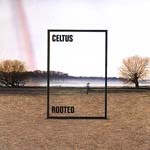 Released as a stop-gap during their spring 2000 tour, Rooted is an excellent summary of Celtus' musical style: Irish folk fusion, contemporary rhythms and fine song-writing. Featuring a handful of live tracks including favourites from their first two albums and the ethereal "Moonchild". Celtus have been described as "Clannad meets Pink Floyd meets Enigma". Judge for yourself by listening to our extended audio clip. Buy this album and get a FREE copy of the two-track CD single "Bubble" (2 different mixes) 1 per customer order. Tracks 1-8 Music House (International) Ltd.